Many people have authored articles and treatise with regards to this issue, namely of Isbal ie letting one’s garments fall below the ankles. Without the need the address the intricacies of the issue and the overwhelming clarity in the prohibition and unlawfulness of Isbal, we thought it was perhaps important to look at the most common argument often presented in defence of this prohibited action. Some people claim it is mustahab ie recommended to raise the garments below the ankle and therefore it is permissible and lawful to let the garments dangle below the ankles, since it is only mustahab. This notion is often pushed by the neo-madhabists and all those on the ‘difference of opinion’ thinking which is later extended to the all inclusive Manhaj, more so in latter times. We are not referring to the view of early scholars who are generally agreed in its prohibition. This needs to be restricted to those who deliberately drag their garments out of sheer arrogance. This accommodation offered by some of the people of the madhabs and they often retort with the words this is the view of the majority in letting the garment fall below the ankles. We must remember, we are referring to this issue with the condition of without arrogance, for even they are agreed with arrogance is prohibited and unlawful, this is unanimous agreed upon by all quarters. “Lift your lower garment to the middle of your shin and if you are unable to do so, then at least to your ankles (ie just above). Beware and be warned from lowering your garment (below your ankles) for verily this is arrogance and Allah does not love/like arrogance.” (Abu Dawud (no.4084), al-Tirmidhi (no.2722) who graded the hadith Hasan-Sahih, al-Sunan al-Kubra (10:236) of Imam al-Baihaqi, al-Mu’ajam al-Kabir (no.6386) of Imam al-Tabarani, Shaikh al-Albani graded it Sahih in Sahih Abu Dawud (2:515-516) and Sahih Sunan al-Tirmidhi (3:88-89), Imam al-Hakim in his al-Mustadrak (4:186) who graded it Sahih and Imam al-Dhahabi concurred. The authentic variations of this hadith clearly show lowering one’s garments below the ankles is in of itself arrogance and therefore the false notion of whether one does it out of pride or arrogance is dismissed. It is in fact a futile thought based on the words of this clear authentic hadith. The claim, one can lower his garment below the ankles if done without arrogance, pride or conceit is permissible and the understanding and line of argument of the prohibition, unlawfulness and punishment is only applicable when done out of arrogance and pride is therefore clearly rebutted. This leads onto the view of having the garments above the ankle as being mustahab or recommended, to be null and void but rather is is mandatory and obligatory as the scholars have explained. Husn al-Dhan indicates this illustrious companions Abdullah ibn Umar RadhiAllahu Anhuma would have always had his garments above his ankles. He was known for his fervor in following the Sunnah. Another possible explanation offered by the scholars is that Abdullah ibn Umar RadhiAllahu Anhuma had his garment above his ankles anyway but it was just above the ankles and the Messenger of Allah ﷺ considered this to be dragging and thus asked him to raise his garments further, up to the middle of his shin. Nonetheless the Messenger of Allah ﷺ had love for his companions and knew them like no one else, while being the most aware about them, ie he would have known if his companions had arrogance. Despite knowing Abdullah ibn Umar RadhiAllahu Anhuma and Husn al-Dhan dictates that he did not have arrogance, despite this he was commanded to raise his garment. Furthermore, Abdullah ibn Umar RadhiAllahu Anhuma would issue legal edicts to people who dragged their garments based on this, he would narrate the hadith from the Messenger of Allah ﷺ. He includes the words due to arrogance, see (Sahih Muslim (no.2085). However, in the main hadith he himself had his garment low, as the text of the hadith indicates, hence the Messenger of Allah ﷺ asked him to raise it. “While a man was praying letting his lower garment trail, the Messenger of Allah (ﷺ) said to him: Go and perform ablution. He, therefore, went and performed ablution and then returned. He (the prophet) again said: Go and perform ablution. He again went, performed ablution and returned. A man said to him (the prophet): Messenger of Allah, why did you order him to perform ablution? He said: he was praying with lower garment trailing, and does not accept the prayer of a man who lets his lower garment trail.” (Abu Dawud no’s 638, 4086, It is also transmitted by Imam Nasa’i in al-Sunan al-Kubra (no.9703), Sunan al-Kubra (2:241) of Imam al-Baihaqi, Sahih Ibn Hibban (2406), Musnad Ahmad (4:67), Riyadh al-Salihin (no.797). Shaikh Zubair Ali Za’i also indicated its authenticity by not including it in his Anwar al-Sahifah Fil Ahadith al-Da’ifah Min al-Sunan al-Arb’a. Imam al-Dhahabi agreed with this grading as can be seen from his al-Kaba’ir (p.179). 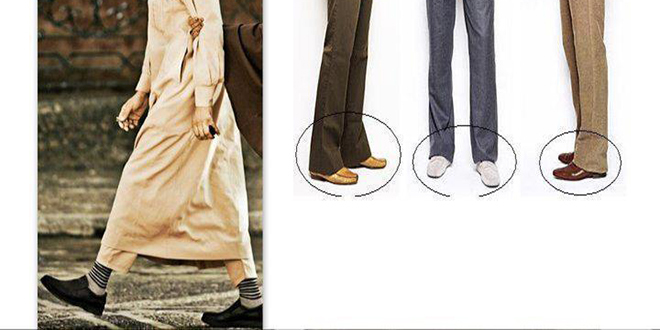 The same people who present Imam Nawawi’s statement that letting the garments below the ankles is makruh if done without conceit or arrogance forget that he authenticated this hadith. Essentially the people who put forward these arguments all agree themselves in the severe punishment as well as the general rule to have the garments above the ankle but at times due to this expansive manhaj and accommodating some of the views of the madhabs say it is only makruh and not prohibited if done for any other reason. This shows, Allah will not accept the prayer of the Musbil ie the one who lowers his garment below his ankles, Allah will not pardon him or protect him from Hell Let us assume for arguments sake, the people who claim it is acceptable if done without arrogance or conceit, then we ask why do they roll up their lower garments or trousers when they pray? Surely the conscious state of not being arrogant and conceited remains within and outside of the prayer! It they say this last hadith again mentions pride, we say the hadith mentions trailing in prayer however we know no one walks and prays, so the trailing here is understood as general isbal. This means letting your garments fall below your ankles is considered trailing. “Allah knows best that lowering the garment below the ankles is a sin and whoever commits a sin, he will be ordered to perform wudu and pray because wudu extinguishes the fire of the sin.” (Tahdhib Ala Sunan Abi Dawud (6:50). Dear readers these ahadith especially the last one, of the prayer of the musbil not being accepted is a serious warning to all those who claim the permissibility of letting the garments fall below the ankles if done without arrogance and conceit. Also the severe warning that Allah will not pardon the musbil, how much more severe can it be for us to realise and pretend it is the majority view, which is often just limited to some out of context statements of the later scholars, and even they alluded to the clear cut prohibition of Isbal. There are numerous other ahadith which make the heart tremble in the depravity of letting the garments fall below the ankles, the believer is reminded to be humble and lock away his alter ego while garbing himself with the fallacious notion that he is free from arrogance and conceit. Therefore, based on the numerous ahadith and the severe punishment which they mention as well as the dire consequences, one should always try to be safe and abstain from views, which are not only unsafe but also lack textual evidence, except some views. For example, there is not a single clear authentic hadith or report which mentions the permissibility of letting the garments fall below the ankles. 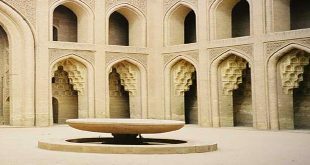 Dear readers do not be naive and fall the opt-repeated notion of majority view, whereas we have shown the pious ancestors ie the Salaf us-Salah, ie the companions, successors and their successors were unanimous in wearing their garments above their ankles. The earlier statements from the Tabi’in indicate all of the companions were upon this way. If this is the case where has this mustahab view come from and why follow unclear statements which talk about if done without arrogance or conceit.